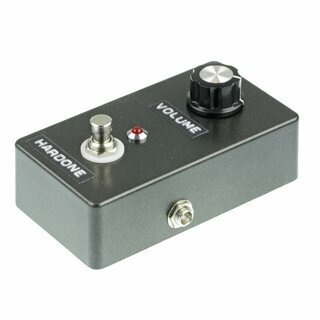 The HardOne is a transparent and very direct volume booster based on the model from a wellknown boutique manufacturer. It needs very few parts, so it is perfect for beginners. 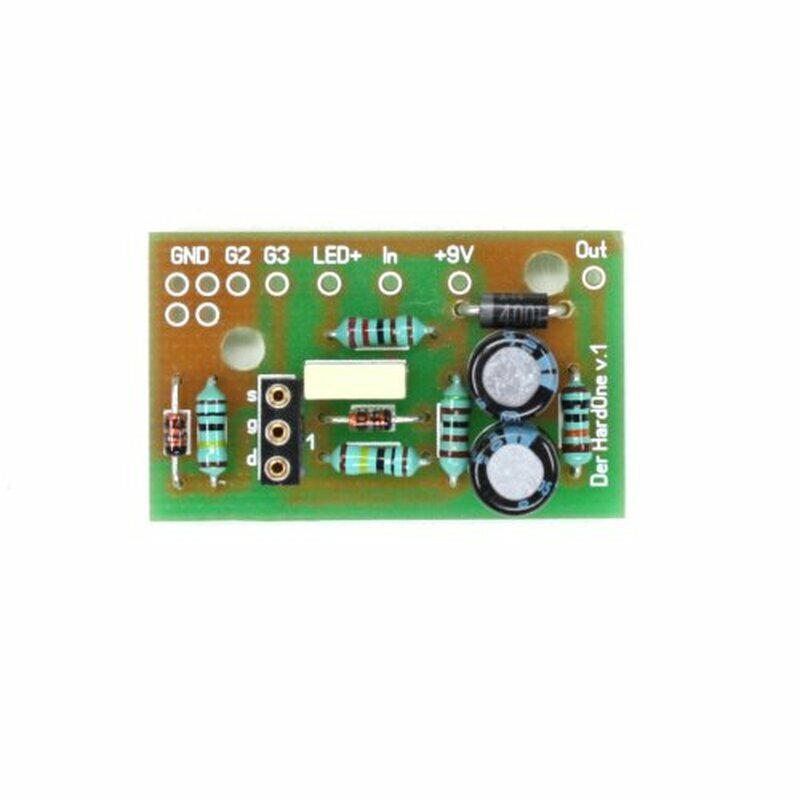 This kit contains all parts you need to build a fully functional effect pedal. Only few parts, it requires about an hour to be fully operational. 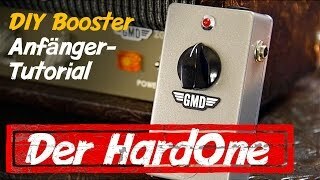 Sounds extremely good, directly on the input stage of the ampli (where at higher volume setting, it can be used as an overdrive) or either in the sendreturn chain, where its an incredible booster. I cant tell if its comparable to the original effect, but its a very good, easy to build kit!!! This is great pedal kit! Its very easy to be assembled also for a beginner! And it also sound in a great way! Warm and natural sound is ensured! I suggest it! So easy to build, so wonderful to play. It took my sound to a new life, cutting into the mix without raise the amp volume. 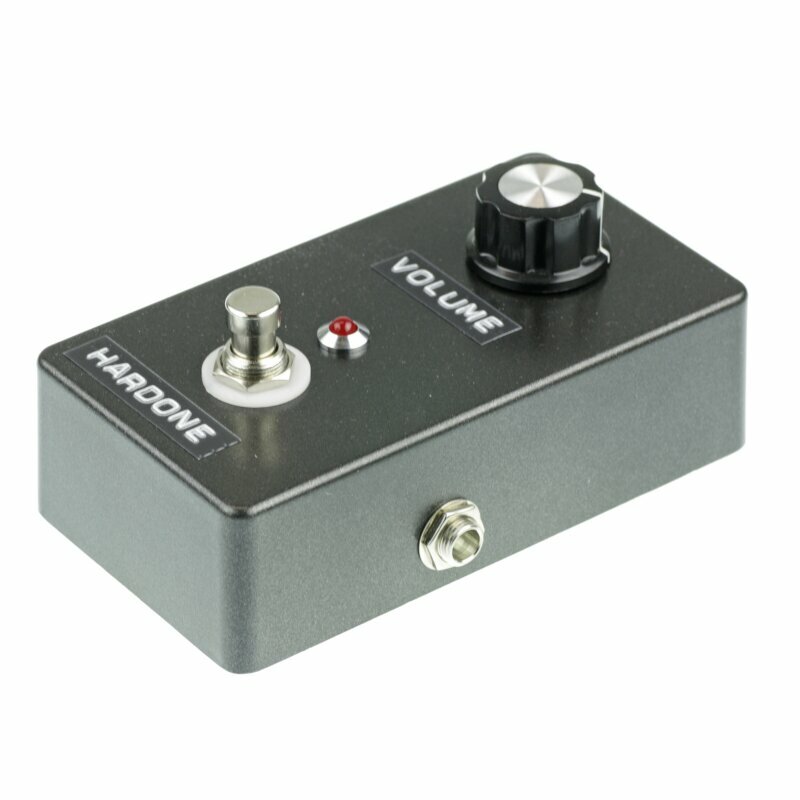 Its really good, great volume increase and so easy to built. 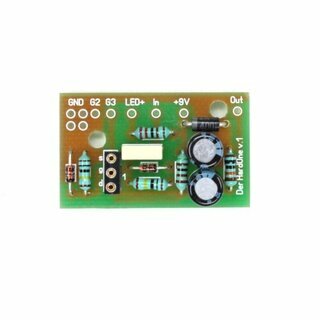 Very good kit, nice PCB and quality components. Easy to built with schem (dontt forget to download...) and let place in a 125B to have a buffer or else. Its really an impressive pedal. Just one knob and a lot of possibilities. 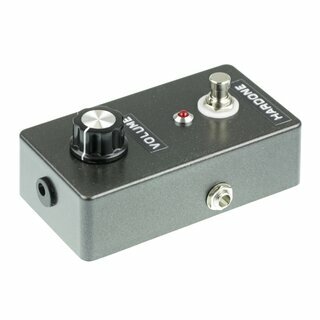 Kind of preamp pedal. Sounds really great. Really bridges clean to overdrive with something warm and furry in between. More than just a volume boost if that is what you are seeking. Buts its nice! 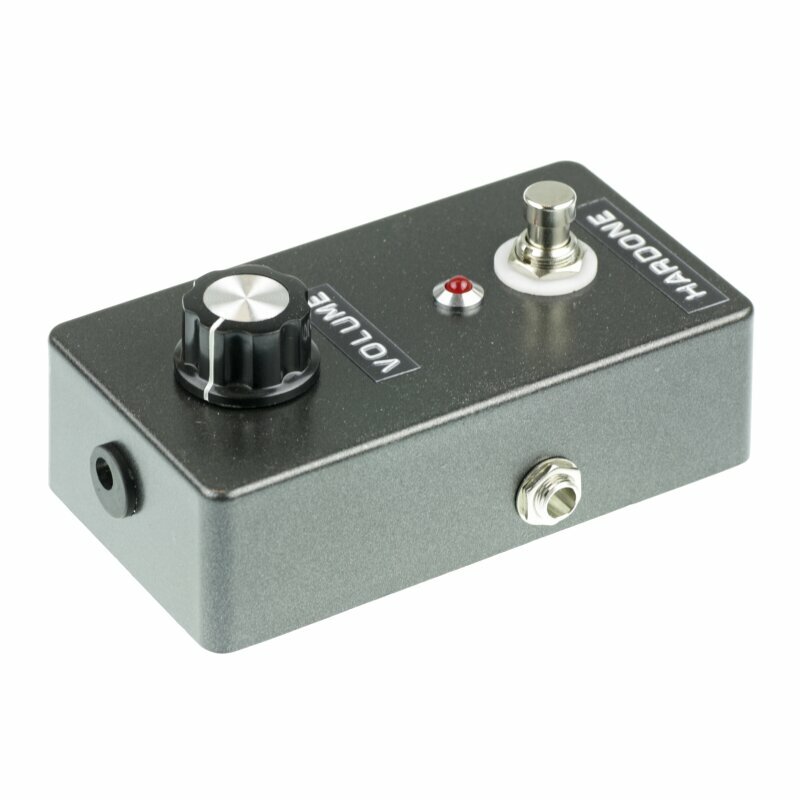 And an easy project to start your stomp box empire! Really helps my amp sound more like a 60 Bassman.